The 73-year-old former judge was in Karachi, and under treatment for a heart ailment at a private hospital. He was the first Hindu and the second non-Muslim head of Pakistan’s judiciary and had been a Supreme Court judge since Feb 2000. He was born in Naseerabad, Larkana District (which is now Qamber Shahdadkot District) in Sindh in Dec 1942. He had a postgraduate degree in Islamic Studies and considered an expert on constitutional law. He was a practicing advocate for about two years before appointment as a judge in July 1967. He was judge of Sindh High Court in June 1994. In 2002, the Sindh High Court had dismissed a challenge to his appointment to the higher judiciary on grounds of being a non-Muslim. He was acting Chief Justice for few days in 2005 and 2006, during the absence of then Chief Justice Iftikhar Chaudhry from the country. He was again appointed as acting chief justice of Pakistan during the judicial crisis in 2007. 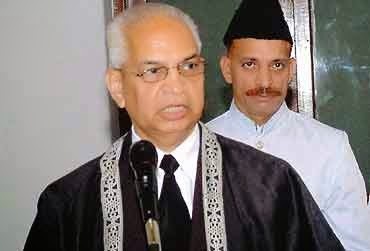 After his retirement from the Supreme Court; Justice (retd) Bhagwandas was Chairman of Federal Public Service Commission (FPSC in November 2009. Recently he was offered to be chief election Commissioner that he refused. Prime Minister Nawaz Sharif, President Mamnoon Hussain, Chief Election Commissioner Justice (retd) Sardar Muhammad Raza, Sindh Chief Minister Syed Qaim Ali Shah, Punjab Chief Minister Shahbaz Sharif, Khyber Pakhtunkhwa Chief Minister Pervez Khattak and Pakistan Tehreek-i-Insaf Chairman Imran Khan issued condolence messages expressing grief and sorrow over the demise of Rana Bhagwandas.